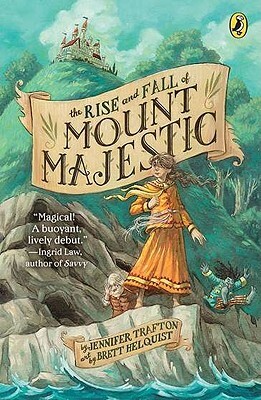 Ten-year-old Persimmony Smudge lives a boring life on the Island in the Middle of Everything, but she longs for adventure. And she soon gets it when she overhears a life-altering secret and suddenly finds herself in the middle of an amazing journey. It turns out that Mount Majestic, the rising and falling mountain in the center of the island, is not really a mountain - it's the belly of a sleeping giant! It's up to Persimmony and her friend Worvil to convince the island's quarreling inhabitants that a giant is sleeping in their midst and must not be awakened. The question is, will she be able to do it?